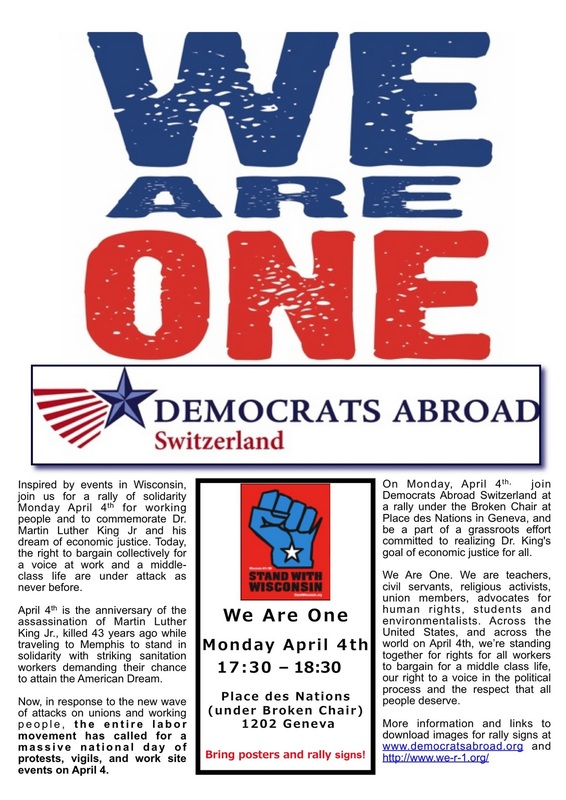 Inspired by events in Wisconsin, join us for a rally of solidarity Monday April 4th for working people and to commemorate Dr. Martin Luther King Jr and his dream of economic justice. 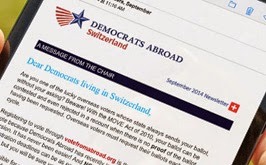 Today, the right to bargain collectively for a voice at work and a middle-class life are under attack as never before. April 4th is the anniversary of the assassination of Martin Luther King Jr., killed 43 years ago while traveling to Memphis to stand in solidarity with striking sanitation workers demanding their chance to attain the American Dream. Now, in response to the new wave of Republican attacks on unions and working people, the entire labor movement has called for a massive national day of protests, vigils, and work site events on April 4. 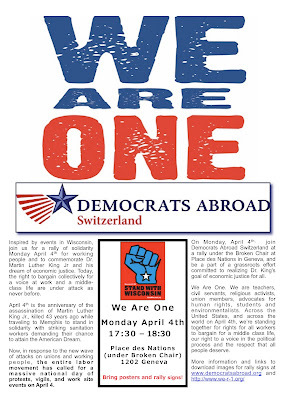 On Monday, April 4th, join Democrats Abroad Switzerland at a rally under the Broken Chair at Place des Nations in Geneva, and be a part of a grassroots effort committed to realizing Dr. King's goal of economic justice for all. We Are One. We are teachers, civil servants, religious activists, union members, advocates for human rights, students and environmentalists. Across the United States, and across the world on April 4th, we’re standing together for rights for all workers to bargain for a middle class life, our right to a voice in the political process and the respect that all people deserve. Download the flyer and post it in your office/school and share with your friends and colleagues.